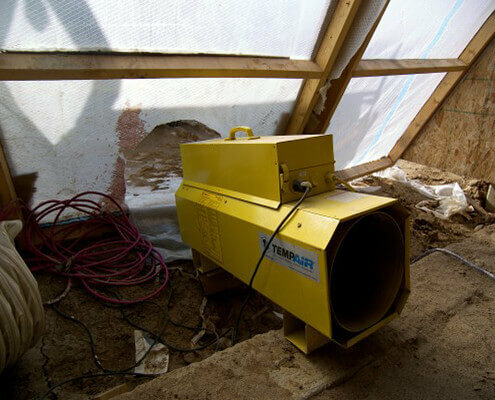 Let us help you heat up concrete, buildings or outside events. Managing the weather and falling temperatures and a project deadline can often be a challenge. 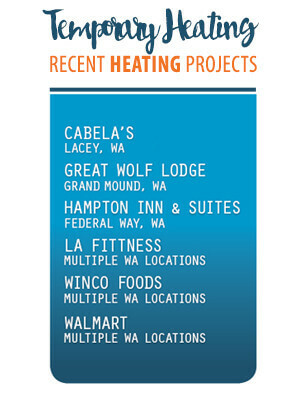 Will over 100 years of combined experience working with businesses in the Pacific Northwest, we know how to fight the cold. 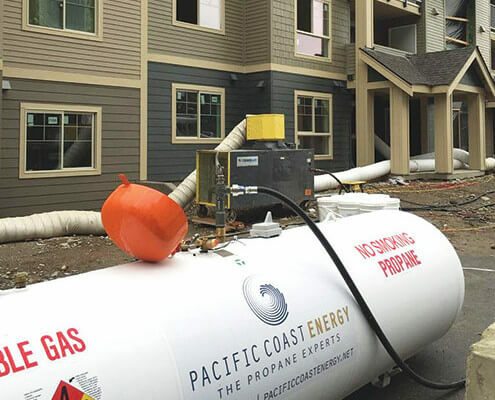 If you need to warm concrete, buildings or Sheetrock, Pacific Coast Energy has all the pieces you’ll need to heat things up. 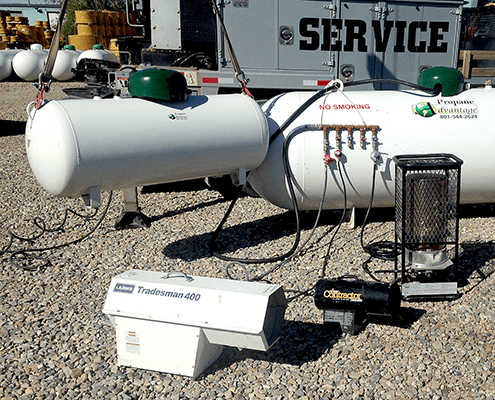 We can supply propane tanks, heaters, hoses and installation know how to make sure your next event or construction project won’t stall when the mercury drops. Tank monitors and priority delivery to keep you running. If you are trying to keep the job-site warm for sheetrock and paint or maybe even warm up your next entertainment event…we can help! We have the equipment and experience to get you set up quickly and stay running until your project is complete. 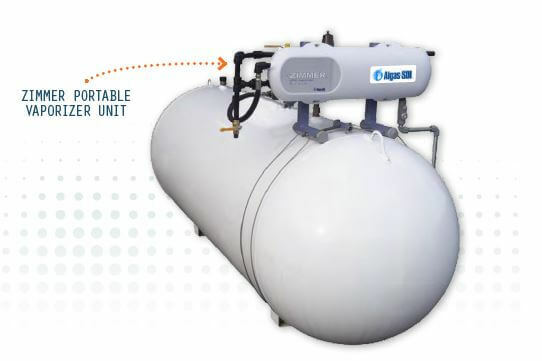 We know propane, so you don’t have to. 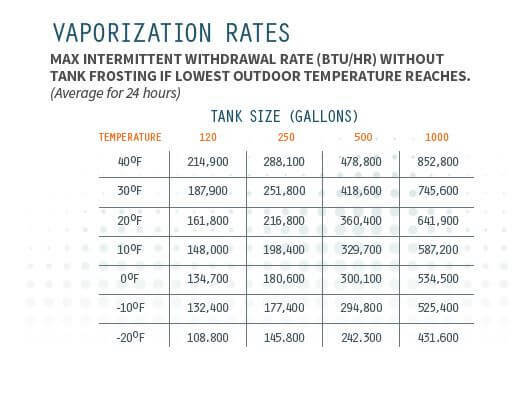 We have years of experience working with high flow propane applications in cold weather. Our experience and equipment resources allow us to put together a solution that will deliver the heat your need, when you need it. And keep delivering it until your project is complete. 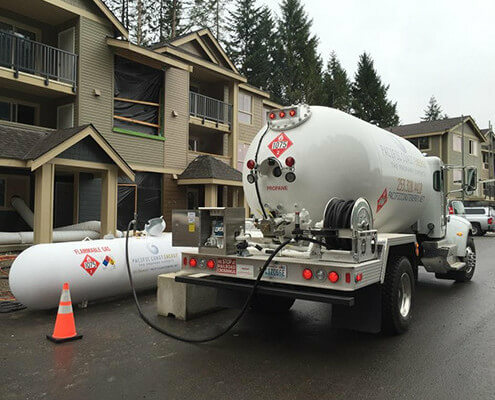 Onsite bulk propane storage tanks and fuel service to support your heating application. Your projects run 24 hours a day, 7 days a week. So do we! We are available 7/24 to assist will problems, schedule emergency fills or anything else needed to keep your heaters running smoothly. Getting your service working quickly and avoiding unwanted downtime is critical to meeting your project deadlines. 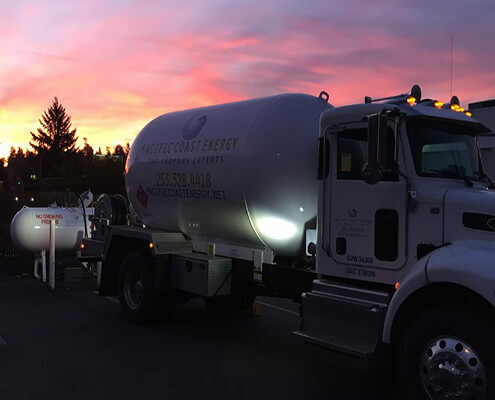 PCE will consult and assist with all aspects of the propane service to ensure you are up and running quickly and stay that way.